Property Location With a stay at Menger Hotel, you'll be centrally located in San Antonio, steps from Alamo and Guinness World Records Museum. This romantic hotel is within close proximity of Plaza Wax Museum and Ripley's Believe It or Not and Henry B. Gonzalez Convention Center. Rooms Make yourself at home in one of the 316 air-conditioned rooms featuring flat-screen televisions. Complimentary wireless Internet access keeps you connected, and cable programming is available for your entertainment. Private bathrooms with shower/tub combinations feature complimentary toiletries and hair dryers. Conveniences include phones, as well as desks and coffee/tea makers. Amenities Relax at the full-service spa, where you can enjoy massages and facials. You can take advantage of recreational amenities such as an outdoor pool, a spa tub, and a sauna. 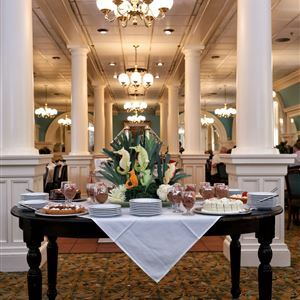 This Victorian hotel also features complimentary wireless Internet access, gift shops/newsstands, and wedding services. Dining Satisfy your appetite at the hotel's restaurant, which serves breakfast, lunch, and dinner, or stay in and take advantage of room service (during limited hours). Quench your thirst with your favorite drink at a bar/lounge. Business, Other Amenities Featured amenities include a 24-hour business center, complimentary newspapers in the lobby, and dry cleaning/laundry services. Planning an event in San Antonio? This hotel has 11618 square feet (1079 square meters) of space consisting of conference space and meeting rooms. With a stay at Menger Hotel, you'll be centrally located in San Antonio, steps from Alamo and Guinness World Records Museum. This romantic hotel is within close proximity of Plaza Wax Museum and Ripley's Believe It or Not and Henry B. Gonzalez Convention Center. Make yourself at home in one of the 316 air-conditioned rooms featuring flat-screen televisions. Complimentary wireless Internet access keeps you connected, and cable programming is available for your entertainment. Private bathrooms with shower/tub combinations feature complimentary toiletries and hair dryers. Conveniences include phones, as well as desks and coffee/tea makers. Relax at the full-service spa, where you can enjoy massages and facials. You can take advantage of recreational amenities such as an outdoor pool, a spa tub, and a sauna. 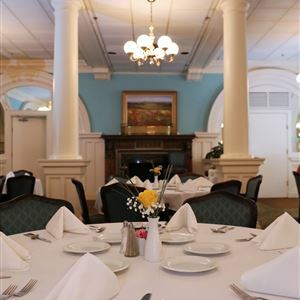 This Victorian hotel also features complimentary wireless Internet access, gift shops/newsstands, and wedding services. Featured amenities include a 24-hour business center, complimentary newspapers in the lobby, and dry cleaning/laundry services. Planning an event in San Antonio? This hotel has 11618 square feet (1079 square meters) of space consisting of conference space and meeting rooms.